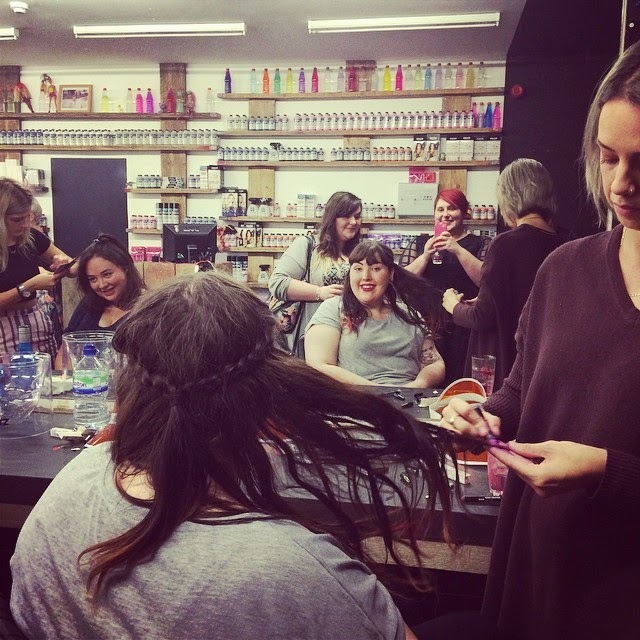 So today is a long overdue post on a super fun evening that I have at a blogger night at Bleach London hosted with Sourz. 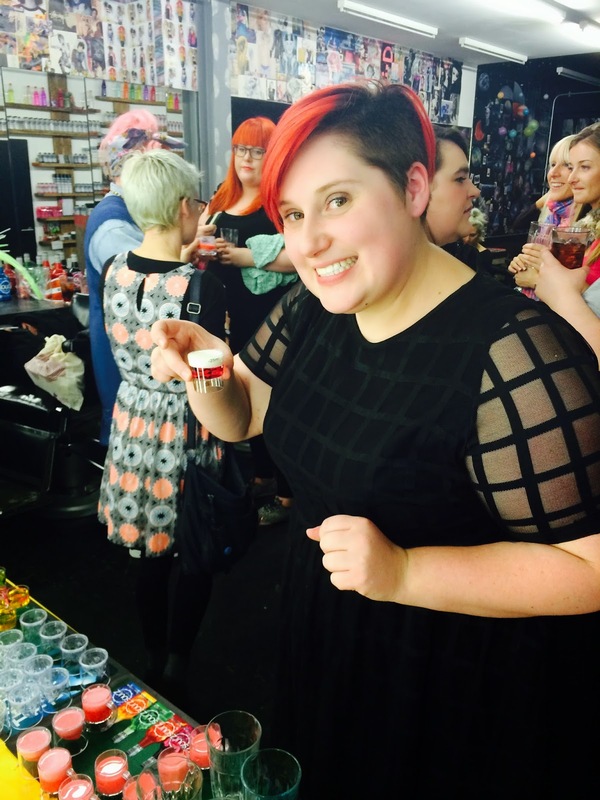 A group of us were there to check out the new Bleach London hair chalks and sample some tasty Sourz shots and drinks. It was lovely to have a few cheeky shots, one or two that tasted like cheesecake and then to have the Bleach girls chalk all our hair up into pretty colours. Here I am about to have my raspberry cheesecake shot which I made myself, with a little help from the lovely mixologist, Joel. Michaela had gorgeous mermaid colours added onto her bleached ends which looked amazing. And I had pink put through my already red hair - I was surprised at home much the colour showed up! I love a good hair chalk because it means you can change it up all the time depending on what you are wearing. Definitely check out Bleach London for some cool Halloween hair too - I've seen it all over their Instagram and Twitter this past week and it's pretty cool! 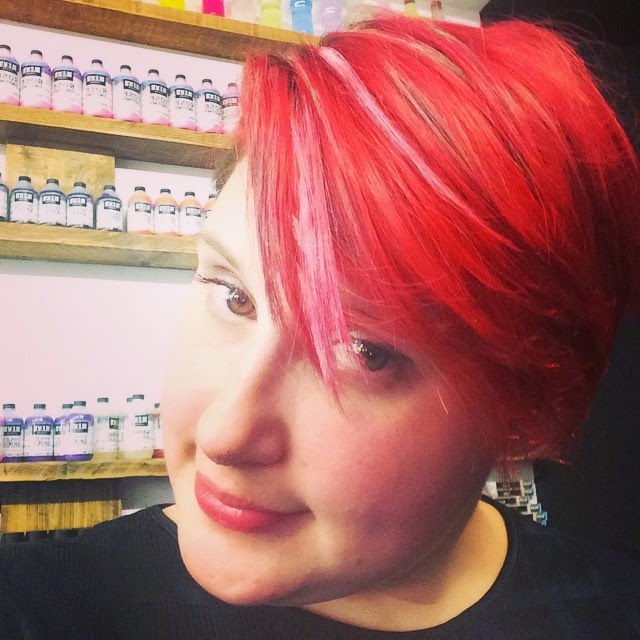 If you haven't tried hair chalks, get on it asap - they are the bomb!